In addition to these benefits hibiscus is very high in vitamin c, which has many health benefits of its own. It is delicious hot this time of year, or iced in the summer! In addition to being a delicious tea for humans, hibiscus is a favorite food of tortoises! 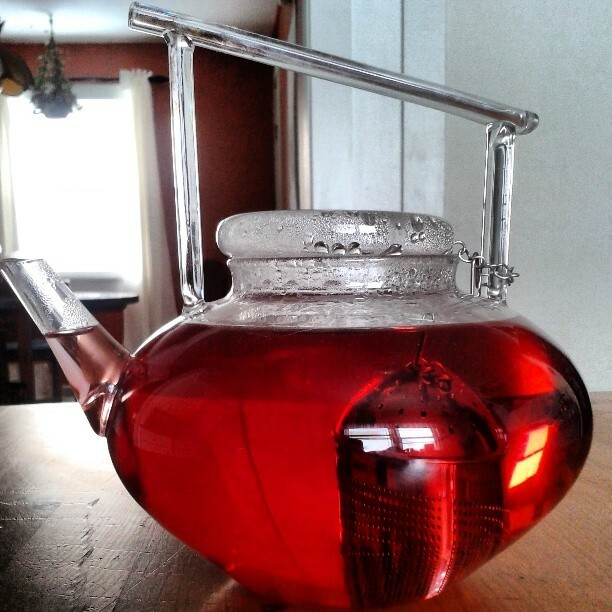 This entry was posted on March 2, 2014 by Chef Jill in Nutrition and tagged Constipation, Hibiscus, High blood Pressure, Hot tea, Iced Tea, Tea, Vitamin C.